Westbury residents Brianna Livingston, 21, and Shaina Thompson, 19, allegedly stole items from Dollar Deal and threatened employee with knife. NCPD report the details of two arrests for a robbery that occurred in East Meadow on Sunday, 03/26. East Meadow, NY - March 27, 2017 - First Squad detectives report the details of two arrests for a robbery that occurred in East Meadow on Sunday, 03/26/17 at 3:35 P.M. According to detectives, Brianna Livingston, 21, and Shaina Thompson, 19, both of Westbury, entered Dollar Deal located at 1970 Hempstead Tpke., removed assorted items off the shelf and left the store without paying. A store employee followed the defendants out of the store into the parking lot, where he was able to retrieve several of the stolen items. Defendant Thompson became irate, exited her vehicle and displayed a knife. The victim then retreated back into the store and the subjects fled the scene in the auto. The victim notified police and was able to provide the vehicle registration information. First Squad detectives located the defendants several hours later at their residence, where they were placed under arrest. Both defendants are each being charged with Robbery 2nd Degree and Robbery 1st Degree. Thompson was additionally found to have an open bench warrant from 2016 for Criminal Possession Controlled Substance 7th Degree. Both defendants will be arraigned on Monday, 03/27/17 in First District Court, Hempstead. 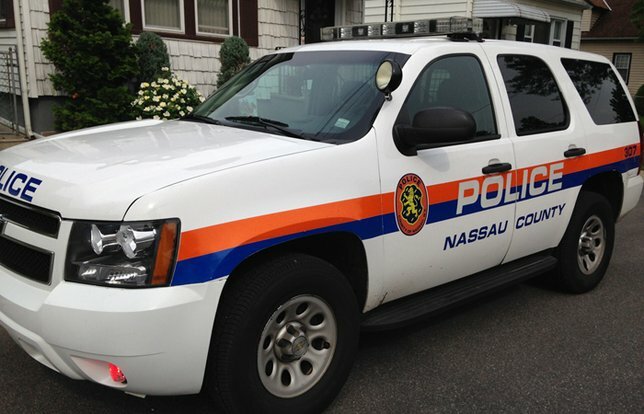 Subject: LongIsland.com - Your Name sent you Article details of "NCPD Report Two in Custory After Knifepoint Robbery of East Meadow Dollar Store"